We design the Guide SRT for a life of exploring mountains. A typical day for the Guide SRT might involve running high-speed top-to-bottom laps or tucking into the trees to drop a less well-known line. It might involve running splitboard laps in a bottomless zone or boot-packing up a long backcountry couloir. 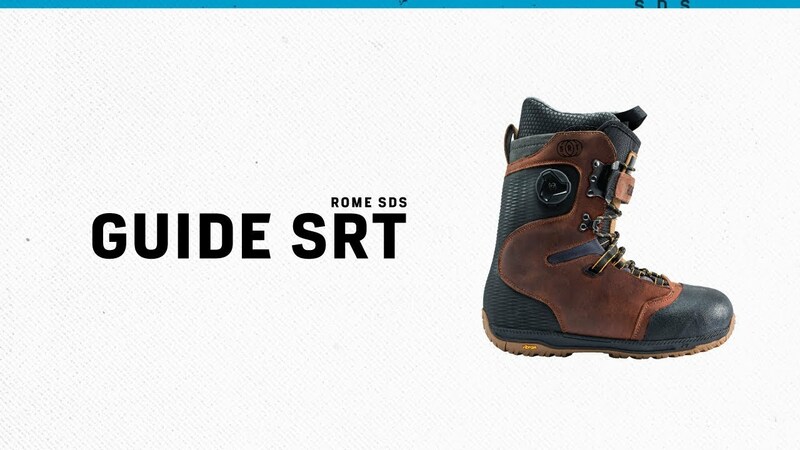 With this life of mountain shredding in mind, we construct an upper leather for durability and climbing rubber for a better connection between boot and binding. Then we inject it with power and control features like our BOA HeelLock Harness and our PowerStay Strap. Vibram delivers the hiking performance in our GripLight outsole.